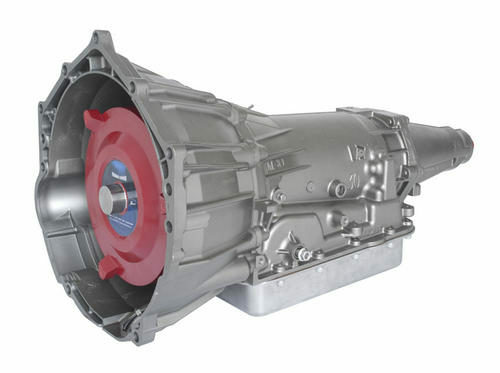 Like most AODs at the time, GM 4L70E transmissions were designed with lightened materials to support better fuel efficiency, 4 speeds, and electronically-controlled shifting. However, like any series of stock transmissions, the 4L70E also came with its fair share of faults and limitations. The final iteration in a line of 4-speed automatic transmissions beginning with the 700R4, the 4L70E is often compared to its nearly identical predecessor, the 4L60E. 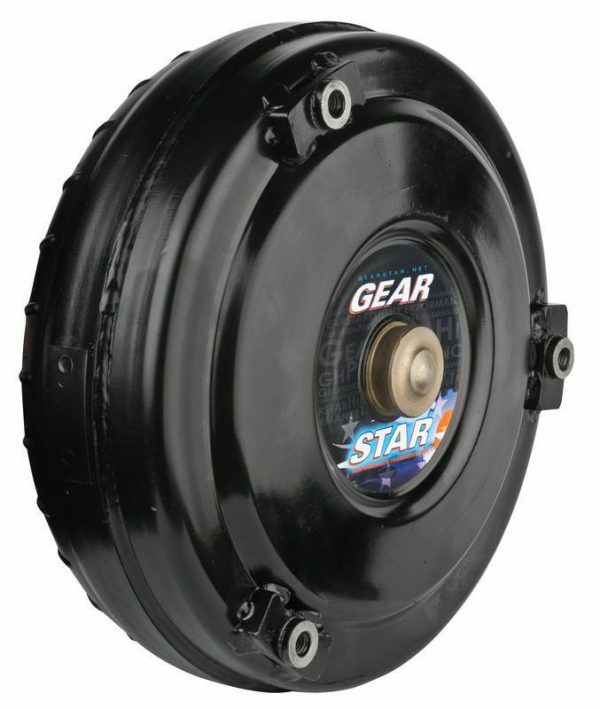 While some might contend that the differences are negligible at best, Gearstar contends that if you really know what you’re doing, then the potential of the 4L70E transmission outstrips its cousins. 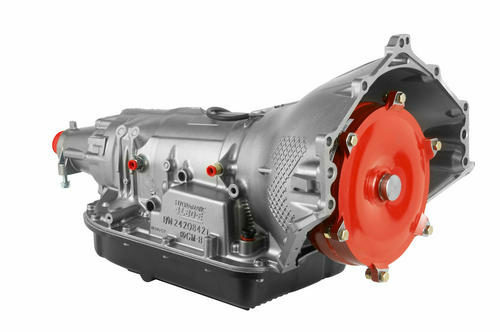 We’ve worked hard and toiled long to offer reworked and optimized GM 4L70E transmissions, designed for modern performance – gutted and rebuilt to show you just how much you can get out of a quality GM transmission with some aftermarket parts, elbow grease, and the minds of our best and brightest builders here at Gearstar. 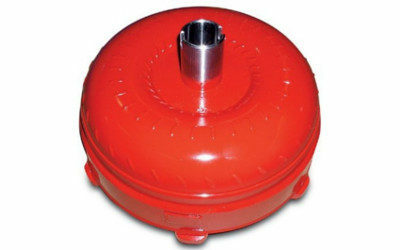 From the outside, there is virtually no difference between GM 4L60E transmissions and later iterations of the 700R4, including both the 4L70E and 4L80E. In fact, they’re all stamp coded “4L60E”. These stamps act as a code, tangible to easily identify a transmission. That’s where the differences start to clear up. For the most part, the 4L70E easily replaces the 4L60E, but turning an old 4L60E into a 4L70E isn’t feasible – while they look incredibly similar, they’re completely different beasts on the inside. To cut to the chase, the 4L70E is a stronger transmission. It’s made of sterner stuff, and comes with an input shaft speed sensor. Other major changes (in more depth) include an internal mode switch (IMS), replacing the neutral safety switch on older 4L60Es, a completely different valve body (with a different control solenoid), internal wiring that is completely different from the 4L60E, and a relocated transmission fluid temperature sensor (TFT). When looking for a specific transmission in stock GM vehicles, it’s possible to tell the two apart without opening them up in just about two ways. First, the harness connector. The 4L70E typically has a black or neon blue harness connector. If that isn’t a reliable bet, then check the service parts identification tag on a GM vehicle. There should be an M70 on the tag if the vehicle’s stock transmission is a 4L70E. Otherwise, on its own, there’s no way to tell from external appearances alone. Installing a 4L70E transmission isn’t a plug-and-play job; you need the right power-train control module to communicate with the transmission, and in some cases, you may have to re-pin your wiring harness. Otherwise, chances are you can bolt a 4L70E transmission into most cars that don’t have a problem with the 4L60E. 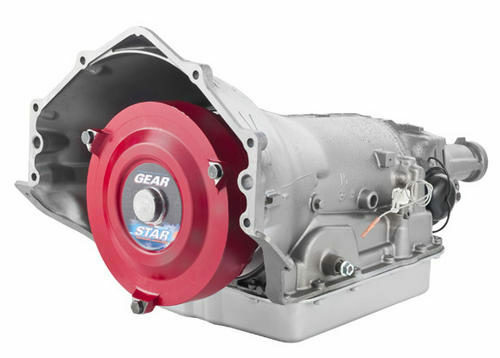 Gearstar’s GM 4L70E transmissions are custom-built to withstand some serious stress, through intensive modification. We build our 4L70Es with a 300mm input shaft and heavy-duty input drum, a steel five-pinion planet for added durability, a larger carbon fiber overdrive band for greater grip and reduced heat, and a super heavy-duty center shell that’ll help let the transmission last on the racetrack. That’s not all, of course. Our transmissions also come with an updated boost valve, pressure regulator valve, new shift, EPC, PWM and 3/2 solenoids, an all-new electronic speed sensor, new stator and vanes, new pump assembly, hardened output shaft, an extra-capacity heavy-duty aluminum pan, a 30,000 GVW cooler and more. Being an electronically-controlled automatic overdrive transmission, the 4L70E let’s you calibrate shift timing, torque converter lock-up and more – which makes transmission far more versatile than older, throttle valve cable GM 4L60s. You’ll need either a laptop to calibrate your transmission, or get one of countless aftermarket alternatives. At the end of the day, if you’re looking for a solid GM automatic transmission in the 650 HP and ft/lbs torque range, with overdrive and electronic calibration, then the 4L70E is an excellent choice. If you’re working on something closer to 450 HP, then we highly recommend the 4L65E. On its own, straight out of the factory, there’s nothing particularly remarkable about the 4L70E. But in our hands here at Gearstar, we’ll quickly turn it into a contender for modern-day performance. The 4L70E is a workhorse transmission, offering greater reliability and a great deal more power. If you’re looking for a transmission capable of working up and beyond the realm of about 450 HP and 425 ft/lbs of torque, and below 650 HP and 650 ft/lbs of torque, then upgrading to a 4L70E transmission is a great option. On its own, you’re looking at a quality electronically-controlled automatic transmission – but with our expertise, the 4L70E quickly becomes a transmission capable of maintaining friction and minimizing slippage under highly demanding conditions. Of course, what it can do for you depends entirely on what you need it to do, and what we can work with. A 4L70E can handle stress, but the build will be different for a customer looking for a custom gearbox for drag racing, versus someone who needs a workhorse to help in their towing business. No matter what you need, we put our heart into each project, and work on our transmissions as though they were being prepped for our very own personal rides. Gearstar is staffed by only the best of the best: guys with decades of experience, and a real passion for heavy duty performance. We’re not making mass-produced, factory-made transmissions for the average family van. Our products are custom-built, race-tested and made to last. Each and every transmission we build is dyno tested with a converter for the equivalent of 100 miles. We have five builders here at Gearstar giving their full attention to each order – every single customer who comes to us with a request for a transmission will not leave disappointed.If you’re ordering from us, you’re getting sheer quality.